Next year's young farmers' event in Blackpool has been put 'on hold'. The decision was announced in a joint statement from Blackpool Council and the National Federation of Young Farmers' Clubs (NFYFC). It follows an 'appalling' display of behaviour by some young farmers at the start of the month, which left the future of the event in doubt. Talks were held between the authority, federation, and police yesterday, and a number of young farmers have been booted out the federation. A spokeswoman for the NFYFC declined to say how many, but said their investigation is still ongoing. The statement said: "Blackpool Council, the National Federation of Young Farmers’ Clubs (NFYFC) and representatives from Lancashire Police and the Winter Gardens have held extensive talks about the various issues raised during NFYFC’s Annual Convention that was held over the May Day Bank Holiday weekend. “Both the council and NFYFC are shocked and saddened by the nature of some of the complaints. 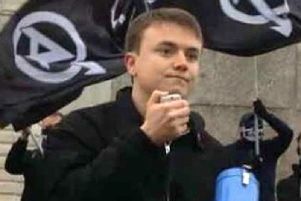 “Although the incidents of anti-social behaviour were committed by a minority of the 6,000 young people who attended the event, some of whom have subsequently had their membership removed from NFYFC, it was agreed there should be a thorough review of whether the event should go ahead in Blackpool next May. “As a result, the arrangements for 2019 have been put on hold pending further talks about the future viability of the event. “The boards of the Winter Gardens and NFYFC are due to meet over the next few weeks and both will consider the nature of the complaints and the risks associated with running another event. reputation of the resort or NFYFC.